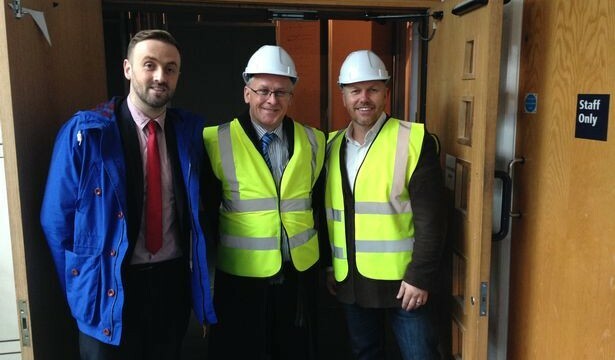 Councillor Malcolm Kennedy, the Cabinet Member of Regeneration, was recently given a tour of the new Shankly Hotel site by Signature Living owner, Lawrence Kenwright, and Bill Shankly’s grandson, Chris Shankly-Carline. The new hotel development will create over 200 full and part-time jobs in the city, in addition to a number of apprenticeships. The project is a joint venture between Signature Living and Bill Shankly’s family. 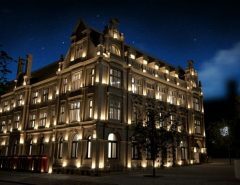 The 145,000 square foot site will offer 83 luxurious bedrooms in the football themed-hotel, which will be a tribute to the late, great Bill Shankly. The hotel will also feature a Shankly museum, which will offer memorabilia from Bill Shankly’s fantastic career. A new bar and sports-themed restaurants will also be created, and is scheduled to open in time for the new premiership football season in August 2015. The accommodation is therefore ideal not just for fans of Bill Shankly and Liverpool FC, but for all football fans who appreciate the legacy and passion of the game and the iconic football manager. Councillor Kennedy recently commented: “It was a pleasure to meet Lawrence and Chris, and to hear more about the plans at Millennium House. The planned hotel and museum is a hugely exciting project, and will be yet another great positive for Liverpool. Lawrence Kenwright was thrilled to show Cllr Kennedy the recent developments on the new Shankly Hotel project, which provided him with the opportunity to discuss his future plans for the hotel. 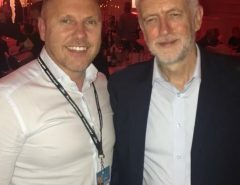 Lawrence said: “Having someone like Councillor Kennedy on site was great, as he shares the same passion we do about regenerating Liverpool and transforming the city into a truly international destination. The Shankly Hotel will further add to that goal.” Cllr Kennedy stated he was impressed with the progress that has been made since we started work just last month”. As an expert on Liverpool’s “neglected” listed building I remember the pure genuine pleasure of the late 80s looking structures such as the everton Watertown ( from liverpool and never heard of them ) there you go.Mr Kenwrights company is no stranger to me but I can’t tell you how proud I am to see LK doing the audit of Listed buildings ,I’m sure LK will see the funny side of arguing over rents of £4/ square metres with local JETS from bad times I’ve seen KK and LK reform this city literally,I’m delighted .